I installed both the Importer and the Genesis Starter Essentials. OK when I installed initially, I got this same error where Genesis was invisible and it was because I installed the content part (genesis etc) into the Poser Runtime structure under Program Files (as I have all my content installed there) but it won't work if you install it there even if all your other content is there and working. It has to be in an external Runtime (any will do or use either Poser's new My Docs place or DS4's which I think is default) and then add that as a new Content Directory in Poser. If not, you will get invisible Genesis. http://docs.daz3d.com/doku.php/public/software/dson_importer/poser/userguide/dson_installation_requirements/tutorials/dson_installation/startOn a windows machine the importer does not have permission to write to C:\Program Files and can't get that permission. Ok, no fur, but the coversion shouldn't be hard. I am downloading the Genesis Starter Essentials and Win 7 won't let me eject my harddrive so I can check my other harddrive where I have my downloads stored (hope that makes sense). If you are having some issues, please double check what I said above as it caused me all sorts of problems at first. Nope, no issues yet. But then I am just in the downloading stage....keeping my fingers crossed! OH...so only DSON Genesis clothing will fit the Poser Genesis? There are also a fair number of freebies, and some Prime items at Rendo (as well as some full price items). Any DS4 Genessi clothing can be made to work, by the creator or - if a copy of DS 4.5 is available - by the end user. I haven't tried saving an AutoFitted Gen 4 item and generating a conmpanion file for it, but it won't work in Poser (unless PhilC's Wardrobe Wizard Plugin works - and I would think it would, since the figure's rigging is the same as the exported CR2). That's more encouraging. 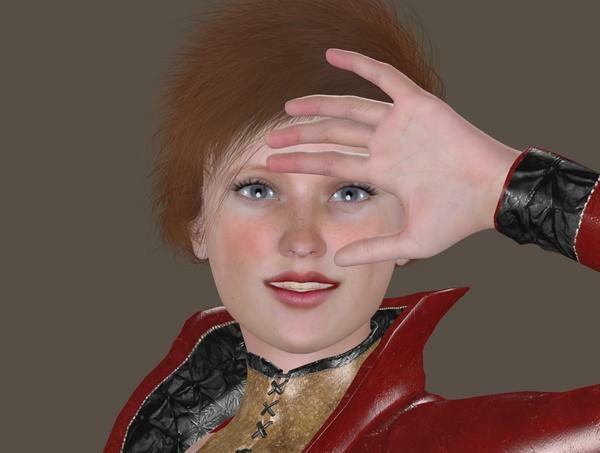 So will, let's say, SickleYield's Genesis clothing over at RMP work on Poser Genesis out of the box? I'm clueless in DS4Pro and would have no idea how to "make it work" in DS4Pro and then bring it into Poser. (4) Use the included DSON Python script to transfer the morphs to the clothing. Does that sound correct? If so, that's reasonably feasible.PhilC's Wardrobe Wizard uses the rig from Genesis exported as a CR2 from DAZ Studio. This is not going to work with the DSON Importer. Granted PhilC may update his Genesis rig, but as of right now I don't believe he has. I may have another solution for you, but I want to be absolutely sure it works first. I tried a different route of pulling in an OBJ for V4. I brought it into the Poser Setup room and then tried to apply the Genesis rigging. As expected, Poser freaked out and crashed on that one. I could not get it to transfer the rigging from Genesis to the OBJ. It was worth a try. If this is something that I *should* have been able to do, you guys may want to mention it. If it's a Poser thing, lemme know and I can contact my SM peeps directly. I am using Poser 9 Pro. 64 bit. And, I can't get Genesis to work. So, what am I doing wrong? Poser 9 doesn't come in 64 bit, you have to use the 32 bit installer even though you may be on a 64 bit machine. On a windows machine the importer does not have permission to write to C:\Program Files and can't get that permission. I got that part figured put. Since it is listed as MAC or WIN. Thanks for the help. Now to see if this helps me. Will be back soon. Ok. I got SR3 and put it in Poser. I hope this works. Do we need to put the trx in it to? My first render. Needs fur, but holy cow. The potential is AWESOME! DAZ, you have my thumbs up for the first time in a LONG time! KUDDOS! That is not going to work, because Poser does not understand the Tri-Ax (Genesis) Rig outside of the plug-in. As of right now the only way to rig clothing for Genesis is in DAZ Studio. Now if the clothing you want to use is for something that autofit works with and you are willing to use DAZ Studio, then you can autofit it, save the clothing on genesis as a scene, follow the docs on how to prepare a DUF for use in Poser and convert the scene. You can then load Genesis and the clothing into Poser and it will work as expected. Gahhhhh, I've just come from the store and have a headache from trying to figure out what I need to buy to get started with Genesis in Poser. I'm so confused... Is there an "essentials" list? Some base set of figures... or something... necessary to load and use V5 and M5? Are V5 and M5 basically "morphs" of the Genesis unisex figure, like the Elite figures were to the Gen4 figures? Someone please make bundles for those of us who are late to the party... or at least a nice comprehensive list. Thanks. If someone replies and I don;t answer right away to say thantk, it's because I;ve gone for aspirin... and maybe a drink. OK. I'm still error message. What am I doing wrong. Make sure you're logged in, and add something else to the cart. Then both should appear and you can delete the second item. Did you install both the GSE Core and the GSE Poser Companion Files? What is the full install path? And both the Data and Runtime folders are directly under "F:Poser 9"? Yes. Both are there. I am un-installing right now. Then re-installing. Will see what happens next. Grr, this is getting really annoying go to reply to something or even load a webpage here and get errors instead of page so you have to reload and the replies are lost. Anyway... With the things I reset, I've got the Poser Companion file, a DSON core file, and a Legacy file, what do I need in order for the product to work in Poser? Is the legacy file for like pre 4.5 versions of DS? This is great - now I can have the best of both worlds. And going through the list of products I already bought in anticipation of this day to reset and get the new files. :) Fun times ahead! It's really pretty straightforward. The individual shapes (like V4, G4, A4, etc.) just come in as full body morph dials. You dial it like you normally would in the body of the figure. Scaling does work. For some reason, Poser runs much more slowly with Genesis loaded. Yes, legacy is for DS 4.0.3, for Poser you need the DSON core file and the Poser Companion File. I'm aware how shaping works, but I'd like to see the renders that blend various Genesis shapes in Poser. Like Monster + V4, maybe, or something like that. Ok, so, here's a question for you. Now, I still don't totally understand how all this nifty, new-fangled stuff worked, but I'm looking through the DSON compatible products and saw that the various Gen3 and Gen4 for Genesis shapes were on the list. So, evidently, they've been updated with DSON capability. What about those of us who carefully scoured the internet, looking through every nook and cranny because we're poor starving art students with barely two pennies to rub together, and purchased our Gen4/Gen3 shapes for Genesis via 3DWorld or ImagineFX magazine DVDs? Should we worry about not getting updates to these products? Ok. Which one do I put items in? Poser 9 or Poser 9 Content? Also, do I use 32 bit or 64 bit? So another question. 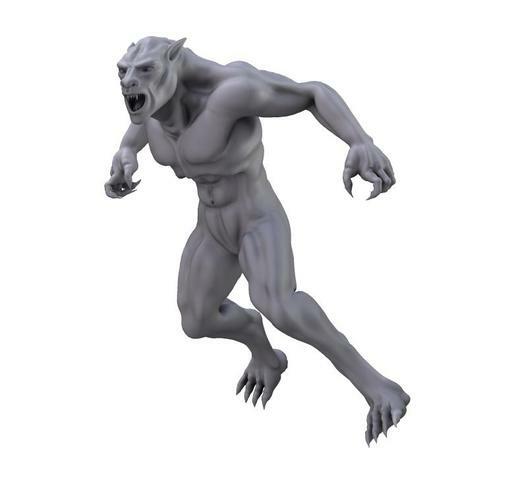 Do the creature morphs come as full body morphs or partials? 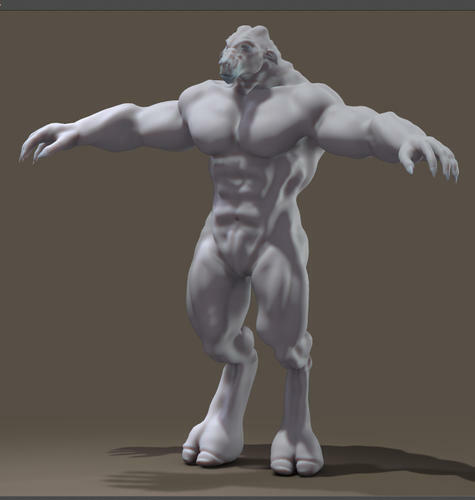 Like... can I create a Poser!Genesis creature with say, the Anubis legs, the troll head, and the gorilla body? Mind you, I have no idea if that even works like that in DS4, but basically, do the creature morphs come in as partials or can we mix and match?